The original iPad was the first tablet computer from Apple. It was a flat, rectangular computer with a large, 9.7-inch touchscreen on its face and a home button at the bottom center of its face. It came in six models—16 GB, 32 GB, and 64 GB of storage, and with or without 3G connectivity (provided in the U.S. by AT&T on the first generation iPad. Later models were supported by other wireless carriers). All models offer Wi-Fi. The iPad was the first Apple product to employ the A4, a then-new processor developed by Apple. The iPad ran the iOS, the same operating system as the iPhone, and as a result, could run apps from the App Store. The iPad allowed existing apps to upscale their size to fill its entire screen (newer apps could also be written to fit its larger dimensions). Like the iPhone and iPod touch, the iPad's screen offered a multitouch interface that allowed users to select items onscreen by tapping them, move them by dragging, and zoom in and out of content by pinching. The software features of the original iPad were very similar to those offered by the iPhone, with one important exception: iBooks. At the same time it launched the tablet, Apple also launched its eBook reading app and eBookstore, iBooks. This was a key move to compete with Amazon, whose Kindle devices were already a substantial success. Apple's drive to compete with Amazon in the eBooks space eventually led to a series of pricing agreements with publishers, a price-fixing lawsuit from the U.S. Dept. of Justice which it lost, and refunds to customers. The iPad was a major success, selling 300,000 units on its first day, and ultimately close to 19 million units before its successor, the iPad 2, was introduced. 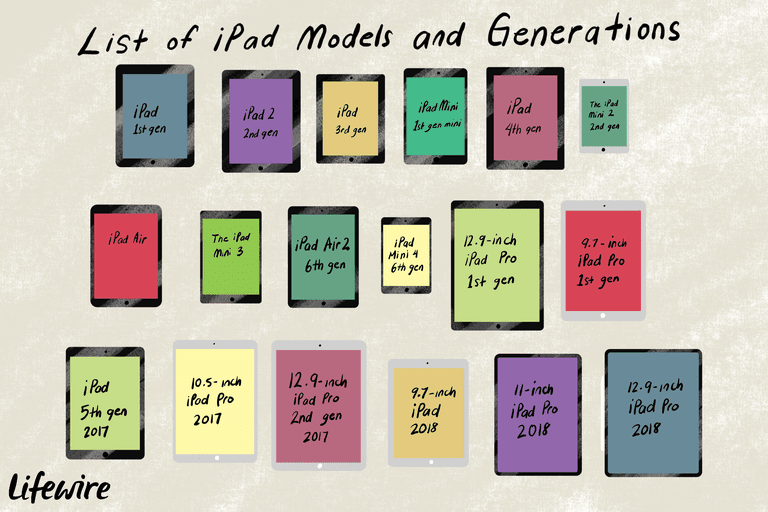 For a fuller accounting of iPad sales, read What Are iPad Sales All Time? Eight years later (as of this writing), the iPad is far and away the most widely used tablet device in the world, despite competition from the Kindle Fire and some Android tablets. I gave the device 3.5 stars, calling it "a terrific luxury device that takes the first step towards fulfilling Apple’s revolutionary promise." CNet gave it 4 stars out of 5, saying the iPad was "the first affordable tablet computer worth owning." The Wall Street Journal didn't assign a rating, but said that the iPad "has the potential to change portable computing profoundly, and to challenge the primacy of the laptop." The New York Times' review was more mixed, saying it was a good device for consumers, but for techies, "if you’ve already got a laptop and a smartphone, who’s going to carry around a third machine?" The success of the iPad was sufficient that Apple announced its successor, the iPad 2, about one year after the original. The company discontinued the original model on March 2, 2011, and released the iPad 2 on March 11, 2011. The iPad 2 was an even bigger hit, selling around 30 million units before its successor was introduced in 2012.